iTFE past student, Miranda Reardon, has been deaf since childhood, but it hasn’t held her back in achieving her career goals. Last week, Miranda applied for a bar position at a popular central Melbourne Hotel and was successful in securing the job. 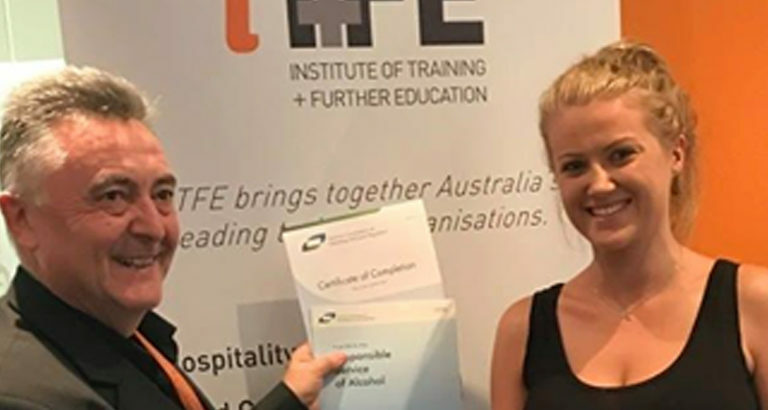 Miranda aced iTFE’s Responsible Serving of Alcohol (RSA) course, so we know she is capable of great things in the hospitality field. Congratulations Miranda, we wish you every success.